Linda Allen B. Hollis is a published author and public speaker. She has spent over twenty years carefully researching her family’s genealogy and the surrounding issues. As a result, she has become an expert in early-American history and race relations, including the numerous laws, codes, amendments, and critical players of two hundred years of United States’ history. As the official chronicler of the Ford family heritage, Linda has appeared on numerous news programs, such as the Today Show, the CBS Morning Show, PBS Frontline, The History Channel and MSNBC. She has also been interviewed by numerous print publications, including NEWSWEEK Magazine, the New York Times, the Chicago Tribune, the Washington Post and the Denver Rocky Mountain News. 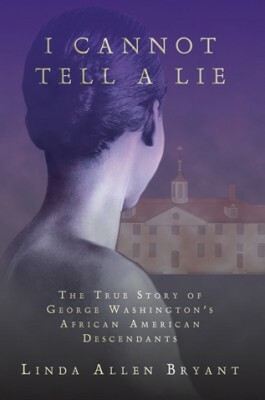 Linda Allen B. Hollis’ research is ongoing, and she has written the book, I Cannot Tell a Lie: The True Story of George Washington’s African American Descendants. Her continued work focuses on ­ preserving the collective heritage of the family patriarch, West Ford, and his descendants. Welcome to the Legacy of West Ford’s official website. The story of George Washington’s African American descendants is a complex, multi-layered story and in that vein, this website is dedicated to expanding on the oral history with facts, sharing family photo galleries, essays and articles. To educate and inform the public about West Ford and his descendants. To contribute to efforts toward historical accuracy. To serve as a communications link to gather and disperse information about the Ford family history. To serve as a contact point to reunite other branches of the Ford family tree. ** If you are a Ford relative and would like to share information or vintage family photos, please send an email to lindab116@aol.com for the submittal policy. Digital content on this site is intended for personal research and educational purposes; commercial use or distribution of this content is not permitted without prior permission from WestFordLegacy. Research on the family photos were provided by Linda Allen B. Hollis, Angela Allen Henry, and Janet Allen.